New science is shedding light on what really happens during out-of-body experiences — with shocking results. This article was adapted from the new book “Brain Wars”, from Harper One. In 1991, Atlanta-based singer and songwriter Pam Reynolds felt extremely dizzy, lost her ability to speak, and had difficulty moving her body. A CAT scan showed that she had a giant artery aneurysm—a grossly swollen blood vessel in the wall of her basilar artery, close to the brain stem. If it burst, which could happen at any moment, it would kill her. But the standard surgery to drain and repair it might kill her too. With no other options, Pam turned to a last, desperate measure offered by neurosurgeon Robert Spetzler at the Barrow Neurological Institute in Phoenix, Arizona. Dr. Spetzler was a specialist and pioneer in hypothermic cardiac arrest—a daring surgical procedure nicknamed “Operation Standstill.” Spetzler would bring Pam’s body down to a temperature so low that she was essentially dead. Her brain would not function, but it would be able to survive longer without oxygen at this temperature. 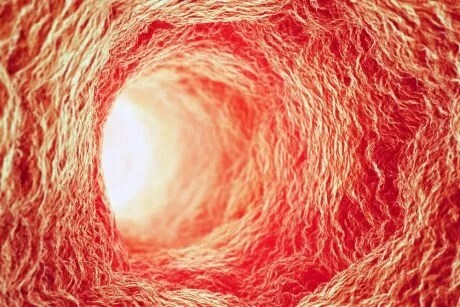 The low temperature would also soften the swollen blood vessels, allowing them to be operated on with less risk of bursting. When the procedure was complete, the surgical team would bring her back to a normal temperature before irreversible damage set in. Essentially, Pam agreed to die in order to save her life—and in the process had what is perhaps the most famous case of independent corroboration of out of body experience (OBE) perceptions on record. This case is especially important because cardiologist Michael Sabom was able to obtain verification from medical personnel regarding crucial details of the surgical intervention that Pam reported. Here’s what happened. Pam was brought into the operating room at 7:15 a.m., she was given general anesthesia, and she quickly lost conscious awareness. At this point, Spetzler and his team of more than 20 physicians, nurses, and technicians went to work. They lubricated Pam’s eyes to prevent drying, and taped them shut. They attached EEG electrodes to monitor the electrical activity of her cerebral cortex. They inserted small, molded speakers into her ears and secured them with gauze and tape. The speakers would emit repeated 100-decibel clicks—approximately the noise produced by a speeding express train—eliminating outside sounds and measuring the activity of her brainstem. At 8:40 a.m., the tray of surgical instruments was uncovered, and Robert Spetzler began cutting through Pam’s skull with a special surgical saw that produced a noise similar to a dental drill. At this moment, Pam later said, she felt herself “pop” out of her body and hover above it, watching as doctors worked on her body. Although she no longer had use of her eyes and ears, she described her observations in terms of her senses and perceptions. “I thought the way they had my head shaved was very peculiar,” she said. “I expected them to take all of the hair, but they did not.” She also described the Midas Rex bone saw (“The saw thing that I hated the sound of looked like an electric toothbrush and it had a dent in it … ”) and the dental-drill sound it made with considerable accuracy. Meanwhile, Spetzler was removing the outermost membrane of Pamela’s brain, cutting it open with scissors. At about the same time, a female cardiac surgeon was attempting to locate the femoral artery in Pam’s right groin. Remarkably, Pam later claimed to remember a female voice saying, “We have a problem. Her arteries are too small.” And then a male voice: “Try the other side.” Medical records confirm this conversation, yet Pam could not have heard them. The cardiac surgeon was right—Pam’s blood vessels were indeed too small to accept the abundant blood flow requested by the cardiopulmonary bypass machine, so at 10:50 a.m., a tube was inserted into Pam’s left femoral artery and connected to the cardiopulmonary bypass machine. The warm blood circulated from the artery into the cylinders of the bypass machine, where it was cooled down before being returned to her body. Her body temperature began to fall, and at 11:05 a.m. Pam’s heart stopped. Her EEG brain waves flattened into total silence. A few minutes later, her brain stem became totally unresponsive, and her body temperature fell to a sepulchral 60 degrees Fahrenheit. At 11:25 a.m., the team tilted up the head of the operating table, turned off the bypass machine, and drained the blood from her body. Pamela Reynolds was clinically dead. Meanwhile, in the operating room, the surgery had come to an end. When all the blood had drained from Pam’s brain, the aneurysm simply collapsed and Spetzler clipped it off. Soon, the bypass machine was turned on and warm blood was pumped back into her body. As her body temperature started to increase, her brainsteam began to respond to the clicking speakers in her ears and the EEG recorded electrical activity in the cortex. The bypass machine was turned off at 12:32 p.m. Pam’s life had been restored, and she was taken to the recovery room in stable condition at 2:10 p.m.
Tales of otherworldly experiences have been part of human cultures seemingly forever, but NDEs as such first came to broad public attention in 1975 by way of American psychiatrist and philosopher Raymond Moody’s popular book Life After Life. He presented more than 100 case studies of people who experienced vivid mental experiences close to death or during “clinical death” and were subsequently revived to tell the tale. Their experiences were remarkably similar, and Moody coined the term NDE to refer to this phenomenon. The book was popular and controversial, and scientific investigation of NDEs began soon after its publication with the founding, in 1978, of the International Association for Near Death Studies (IANDS)—the first organization in the world devoted to the scientific study of NDEs and their relationship to mind and consciousness. NDEs are the vivid, realistic, and often deeply life-changing experiences of men, women, and children who have been physiologically or psychologically close to death. They can be evoked by cardiac arrest and coma caused by brain damage, intoxication, or asphyxia. They can also happen following such events as electrocution, complications from surgery, or severe blood loss during or after a delivery. They can even occur as the result of accidents or illnesses in which individuals genuinely fear they might die. Surveys conducted in the United States and Germany suggest that approximately 4.2 percent of the population has reported an NDE. It has also been estimated that more than 25 million individuals worldwide have had an NDE in the past 50 years. People from all walks of life and belief systems have this experience. Studies indicate that the experience of an NDE is not influenced by gender, race, socioeconomic status, or level of education. Although NDEs are sometimes presented as religious experiences, this seems to be a matter of individual perception. Furthermore, researchers have found no relationship between religion and the experience of an NDE. That is, it did not matter whether the people recruited in those studies were Catholic, Protestant, Muslim, Hindu, Jewish, Buddhist, atheist, or agnostic. Although the details differ, NDEs are characterized by a number of core features. Perhaps the most vivid is the OBE: the sense of having left one’s body and of watching events going on around one’s body or, occasionally, at some distant physical location. During OBEs, near-death experiencers (NDErs) are often astonished to discover that they have retained consciousness, perception, lucid thinking, memory, emotions, and their sense of personal identity. If anything, these processes are heightened: Thinking is vivid; hearing is sharp; and vision can extend to 360 degrees. NDErs claim that without physical bodies, they are able to penetrate through walls and doors and project themselves wherever they want. They frequently report the ability to read people’s thoughts. However different their personalities before the NDE, experiencers tend to share a similar psychological profile after the NDE. Indeed, their beliefs, values, behaviors, and worldviews seem quite comparable afterward. Importantly, these psychological and behavioral changes are not the kind of changes one would expect if this experience were a hallucination. And, as noted NDE researcher Pim van Lommel and his colleagues have demonstrated, these changes become more apparent with the passage of time. Some skeptics legitimately argue that the main problem with reports of OBE perceptions is that they often rest uniquely on the NDEr’s testimony—there is no independent corroboration. From a scientific perspective, such self-reports remain inconclusive. But during the last few decades, some self-reports of NDErs have been independently corroborated by witnesses, such as that of Pam Reynolds. One of the best known of these corroborated veridical NDE perceptions—perceptions that can be proven to coincide with reality—is the experience of a woman named Maria, whose case was first documented by her critical care social worker, Kimberly Clark. This case is particularly impressive given that during cardiac arrest, the flow of blood to the brain is interrupted. When this happens, the brain’s electrical activity (as measured with EEG) disappears after 10 to 20 seconds. In this state, a patient is deeply comatose. Because the brain structures mediating higher mental functions are severely impaired, such patients are expected to have no clear and lucid mental experiences that will be remembered. Nonetheless, studies conducted in the Netherlands, United Kingdom, and United States have revealed that approximately 15 percent of cardiac arrest survivors do report some recollection from the time when they were clinically dead. These studies indicate that consciousness, perceptions, thoughts, and feelings can be experienced during a period when the brain shows no measurable activity. NDEs experienced by people who do not have sight in everyday life are quite intriguing. In 1994, researchers Kenneth Ring and Sharon Cooper decided to undertake a search for cases of NDE-based perception in the blind. They reasoned that such cases would represent the ultimate demonstration of veridical perceptions during NDEs. If a blind person was able to report on verifiable events that took place when they were clinically dead, that would mean something real was occurring. They interviewed 31 individuals, of whom 14 were blind from birth. Twenty-one of the participants had had an NDE; the others had had OBEs only. Strikingly, the experiences they reported conform to the classic NDE pattern, whether they were born blind or had lost their sight in later life. The results of the study were published in 1997. Based on all the cases they investigated, Ring and Cooper concluded that what happens during an NDE affords another perspective to perceive reality that does not depend on the senses of the physical body. They proposed to call this other mode of perception mindsight. Despite corroborated reports, many materialist scientists cling to the notion that OBEs and NDEs are located in the brain. In 2002, neurologist Olaf Blanke and colleagues at the University Hospitals of Geneva and Lausanne in Switzerland described in the prestigious scientific journal Nature the strange occurrence that happened to a 43-year-old female patient with epilepsy. Because her seizures could not be controlled by medication alone, neurosurgery was being considered as the next step. The researchers implanted electrodes in her right temporal lobe to provide information about the localization and extent of the epileptogenic zone—the area of the brain that was causing the seizures—which had to be surgically removed. Other electrodes were implanted to identify and localize, by means of electrical stimulation, the areas of the brain that—if removed—would result in loss of sensory capacities, linguistic ability, or even paralysis. Such a procedure is particularly critical to spare important brain areas that are adjacent to the epileptogenic zone. The article received global press coverage and created quite a commotion. The editors of Nature went so far as to declare triumphantly that as a result of this one study—which involved only one patient—the part of the brain that can induce OBEs had been located. Materialistic scientists have proposed a number of physiological explanations to account for the various features of NDEs. British psychologist Susan Blackmore has propounded the “dying brain” hypothesis: that a lack of oxygen (or anoxia) during the dying process might induce abnormal firing of neurons in brain areas responsible for vision, and that such an abnormal firing would lead to the illusion of seeing a bright light at the end of a dark tunnel. Would it? Van Lommel and colleagues objected that if anoxia plays a central role in the production of NDEs, most cardiac arrest patients would report an NDE. Studies show that this is clearly not the case. Another problem with this view is that reports of a tunnel are absent from several accounts of NDErs. As pointed out by renowned NDE researcher Sam Parnia, some individuals have reported an NDE when they had not been terminally ill and so would have had normal levels of oxygen in their brains. Parnia raises another problem: When oxygen levels decrease markedly, patients whose lungs or hearts do not work properly experience an “acute confusional state,” during which they are highly confused and agitated and have little or no memory recall. In stark contrast, during NDEs people experience lucid consciousness, well-structured thought processes, and clear reasoning. They also have an excellent memory of the NDE, which usually stays with them for several decades. In other respects, Parnia argues that if this hypothesis is correct, then the illusion of seeing a light and tunnel would progressively develop as the patient’s blood oxygen level drops. Medical observations, however, indicate that patients with low oxygen levels do not report seeing a light, a tunnel, or any of the common features of an NDE we discussed earlier. During the 1990s, more research indicated that the anoxia theory of NDEs was on the wrong track. James Whinnery, a chemistry professor with West Texas A&M, was involved with studies simulating the extreme conditions that can occur during aerial combat maneuvers. In these studies, fighter pilots were subjected to extreme gravitational forces in a giant centrifuge. Such rapid acceleration decreases blood flow and, consequently, delivery of oxygen to the brain. In so doing, it induces brief periods of unconsciousness that Whinnery calls “dreamlets.” Whinnery hypothesized that although some of the core features of NDEs are found during dreamlets, the main characteristics of dreamlets are impaired memory for events just prior to the onset of unconsciousness, confusion, and disorientation upon awakening. These symptoms are not typically associated with NDEs. In addition, life transformations are never reported following dreamlets. So, if the “dying brain” is not responsible for NDEs, could they simply be hallucinations? In my opinion, the answer is no. Let’s look at the example of hallucinations that can result from ingesting ketamine, a veterinary drug that is sometimes used recreationally, and often at great cost to the user. At small doses, the anesthetic agent ketamine can induce hallucinations and feelings of being out of the body. Ketamine is thought to act primarily by inhibiting N-Methyl-D-aspartic acid (NMDA) receptors, which normally open in response to binding of glutamate, the most abundant excitatory chemical messenger in the human brain. Psychiatrist Karl Jensen has speculated that the blockade of NMDA receptors may induce an NDE. But ketamine experiences are often frightening, producing weird images; and most ketamine users realize that the experiences produced by this drug are illusory. In contrast, NDErs are strongly convinced of the reality of what they experienced. Furthermore, many of the central features of NDEs are not reported with ketamine. That being said, we cannot rule out that the blockade of NMDA receptors may be involved in some NDEs. Neuroscientist Michael Persinger has claimed that he and his colleagues have produced all the major features of the NDE by using weak transcranial magnetic stimulation (TMS) of the temporal lobes. Persinger’s work is based on the premise that abnormal activity in the temporal lobe may trigger an NDE. A review of the literature on epilepsy, however, indicates that the classical features of NDEs are not associated with epileptic seizures located in the temporal lobes. Moreover, as Bruce Greyson and his collaborators have correctly emphasized, the experiences reported by participants in Persinger’s TMS studies bear little resemblance with the typical features of NDEs. The scientific NDE studies performed over the past decades indicate that heightened mental functions can be experienced independently of the body at a time when brain activity is greatly impaired or seemingly absent (such as during cardiac arrest). Some of these studies demonstrate that blind people can have veridical perceptions during OBEs associated with an NDE. Other investigations show that NDEs often result in deep psychological and spiritual changes. These findings strongly challenge the mainstream neuroscientific view that mind and consciousness result solely from brain activity. As we have seen, such a view fails to account for how NDErs can experience—while their hearts are stopped—vivid and complex thoughts and acquire veridical information about objects or events remote from their bodies. NDE studies also suggest that after physical death, mind and consciousness may continue in a transcendent level of reality that normally is not accessible to our senses and awareness. Needless to say, this view is utterly incompatible with the belief of many materialists that the material world is the only reality. Excerpted with permission from “The Brain Wars: The Scientific Battle Over the Existence of the Mind and the Proof That Will Change the Way We Live Our Lives.” Courtesy of HarperOne. Mario Beauregard is associate research professor at the Departments of Psychology and Radiology and the Neuroscience Research Center at the University of Montreal. He is the coauthor of “The Spiritual Brain” and more than one hundred publications in neuroscience, psychology and psychiatry.MORE MARIO BEAUREGARD.